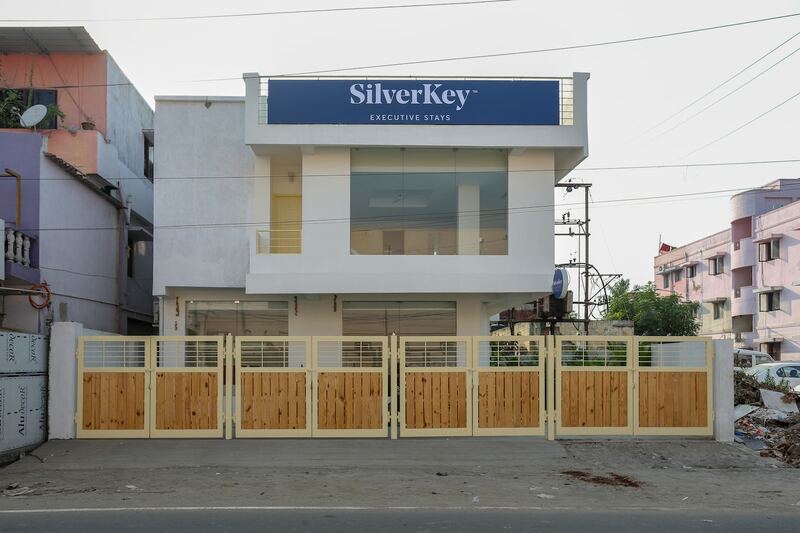 The rooms offered by SilverKey Executive Stays 20038 MIOT Hospital have been designed with a lot of care. The hotel is located on in the Valluvar Salai at Ramapuram in Chennai. The rooms are well-furnished and have been provided with large windows. All rooms are well-lit and have been provided with a set of plush sofas that can double up as a couch. The rooms have been painted in monochromatic hues and use a lot of wooden elements in the room. The additional facilities provided by the hotel are free Wi-Fi, parking provisions, an uninterrupted power backup supply, card payment in all forms, a common kitchen, a common dining area, and CCTV cameras. The front desk service is manned by experienced staff personnel who try to solve all the problems faced by the guests. The hotel is close to a number of eating facilities such as Laziz Plaza, Ovenfresh, Cake Paradise, and Dindigul Thalappakatti.